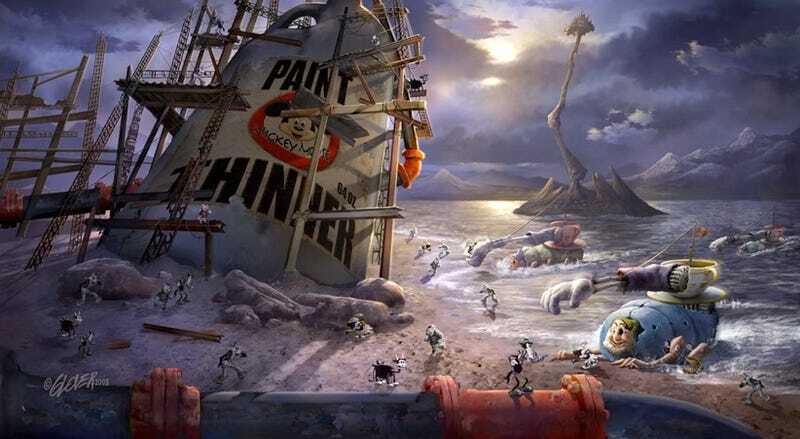 So it looks like Warren Spector's Junction Point Studios are working on a Disney game code-named "Epic Mickey". The concept art looks amazing, but we still have questions. Like what platform is it for? Headline kind of gives it away. The resume of another guy who's working on the game, Tony Pulham, says it's for the Wii. And since he's a concept designer, not a programmer or level artist, that makes it sound like there's only a Wii version. Hopefully Nintendo's machine, and the team at Junction Point, can do that concept art justice.